Prior to allocating NDIS Support Items in Activities, it is imperative that your organisation is ready to begin using SupportAbility to generate & process invoices and NDIS Bulk Payment Requests. Each of the NDIS Configuration requirements must be completed. Please review the linked article and/or this video for more detail about each of these requirements. In order to allocate NDIS Funding, the Client's NDIS Funding Plan must have been entered first. Understand who in your organisation is responsible for updating the Client's Funding Source and allocating NDIS Supports. Whilst Staff may have the ability to perform these actions, please consider who in your organisation is responsible for updating the Client's Funding Source to their NDIS Funding, allocating NDIS Supports for the Services delivered, replicating these allocations to future Activities in the set where required, and also reviewing these allocations before the Activity Sign Off approval is performed. have the privileges required to manage Activities to update the Client's Funding Source. have a thorough understanding of how the Activity Replication Management Settings in SupportAbility work. 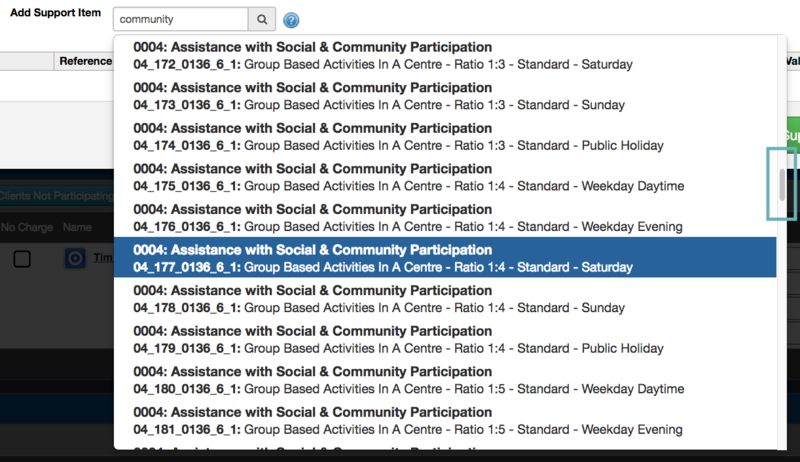 Activities in SupportAbility are used to reflect instances of direct service delivery and can be used to track time and/or generate invoices. In order to generate invoices for a Client, their Funding Source must be set to the Client's NDIS Funding Plan. The Supports being charged for the Activity must also be allocated. 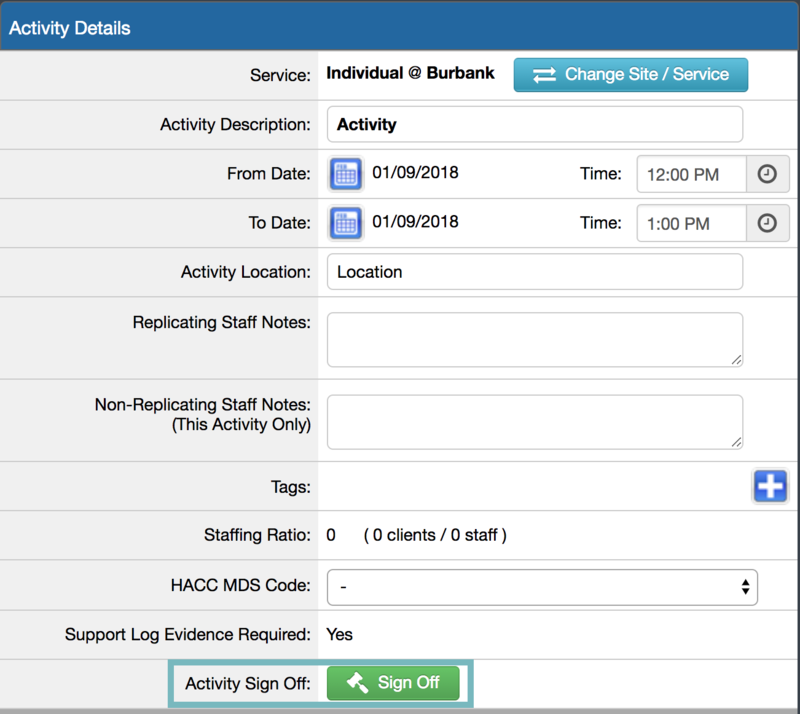 Once Supports are allocated and the Service is delivered, the Activity Sign Off must be completed by Staff with the privileges required to manage Activities. This is required to approve the Activities for Invoicing and/or Payroll. 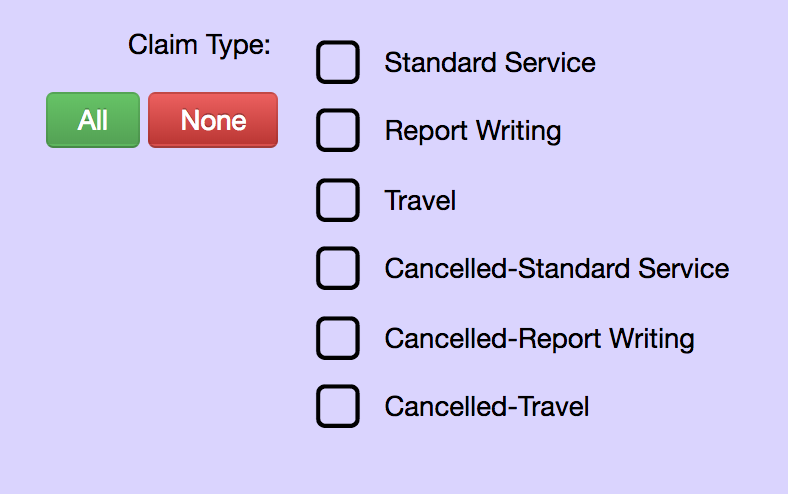 Where does Claim Type and Cancellation Reason appear? N.B. Only Staff with the privileges required to manage Activities can update a Client's Funding Source. NDIS Funding may not be configured for the Service delivering the Activity. Please see your Team Leader, Manager or System Administrator for further assistance. When the Client's NDIS Funding is set as their Funding Source, the relevant NDIS Supports the Client has used for the Activity can be allocated. This button appears in orange when no NDIS Supports have been allocated. N.B. Only Staff with the 'View Financial Information' Staff Account Privileges will see the Price and Value columns. Select the required Support and the item will be added to the NDIS Support Allocations window. The 'Quantity' and 'Claim Type' can then be entered, which is explained further below. 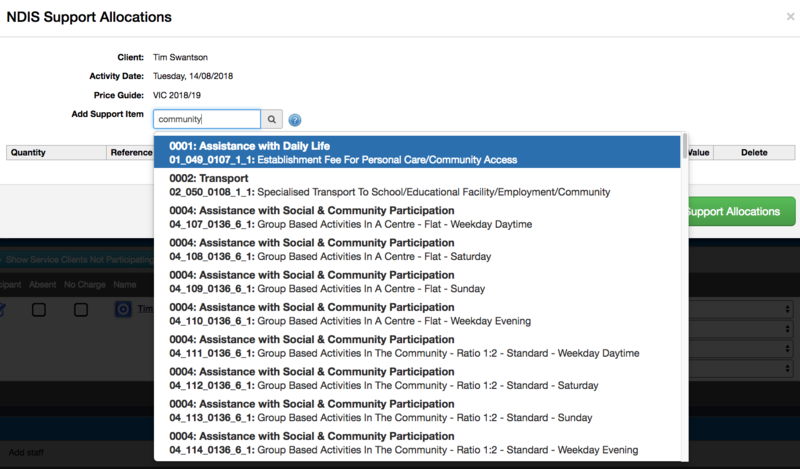 'Unavailable' indicates that funding for this Support Item or the parent Support Category is not available in the Client's NDIS Funding record and it therefore cannot be selected. Additionally, any supports which are not included in the current NDIS Price Guide will also not be available for allocation. These supports will need to be claimed manually in the my place provider portal. In this case, each of the Group Based Supports that appear here have been added to Erin's NDIS Funding Plan, whereas the Transport support appears as it was allocated in an Activity she recently participated in. A maximum number of five pre-populated Supports will appear. Once the relevant Supports have been added, the applicable Quantity must be entered. N.B. Regardless of how the time is entered, Support Allocations with UoM = Hours are displayed in the Hours column of the NDIS Bulk Payment Request file export in the required HHH:MM format. N.B. 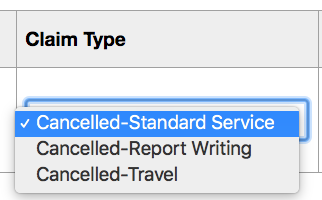 Standard Service is the default and more Information about the Claim Type of Cancellation is explained further below. If certain NDIS Support Items have been added to the Client's Funding Plan that are set to quotable in the NDIS Support Catalogue, or, do not have a price control, they can have the 'Staff Allowed to Customise Rate' setting configured. Please review the Customising NDIS Support Items article for more information regarding this. If a Client has a Funding Source selected in an Activity, and that Activity is replicated beyond the funding period, SupportAbility will attach another current funding of the same type and will revalidate any NDIS Support Allocations. If no valid funding of this type is available, it will revert to Billable. The Cancellation Reduced Price Percentage as set in System Preferences, will be applied to the Price and Value of the NDIS Support Allocations for any Category 1, 4 and 15 supports for all (non-Signed Off) Activities with a quantity greater than that fall on or after July 1st, 2018. N.B. Only Staff with the 'View Financial Information' Staff Account Privilege will see the Price and Value columns in the NDIS Support Allocations window. When a Client is Absent and has Cat 1, 4 or 15 NDIS Support Allocations with a quantity greater than zero, any changes made to their NDIS Support Allocations will not be replicated to the remaining Activities in the set, regardless of the Replication Management Settings. Whilst SupportAbility will provide this warning, they will not inhibit these Supports being allocated. This is at the discretion of the Provider. The quantity of any Support Allocations can be updated to zero or removed for any Supports your organisation does not wish to charge for, in the event of a cancellation or "no show". 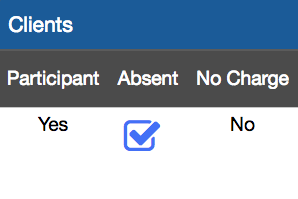 Where does the Claim Type and the Cancellation Reason appear? the read only version of the Internal Invoices when generating or viewing an Internal [Direct] Invoice Batch. This will be added to additional places in the future e.g. invoice descriptions. Please be sure to keep up-to-date with the SupportAbility Release Notes as this is where all updates are published. Please see the Activity Icons article for more information. Once the Service has been delivered, the appropriate Staff member must perform the Activity Sign Off to approve this Activity for invoicing and/or payroll. The Service Schedule generated in the Activity Schedule Report is designed to assist with this process. It is also worth considering the state of the Replication Management Settings within the Activity before the Activity Sign Off is performed. 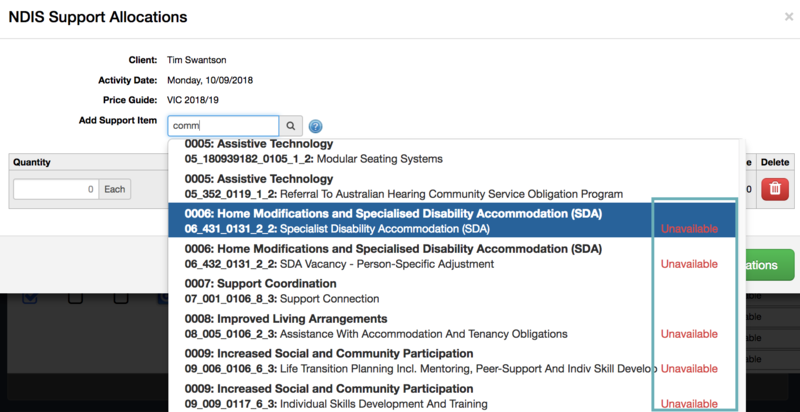 If any NDIS Support Items are adjusted prior to the Sign Off being performed, and the 'Client' Replication Management Settings are active for example, performing the Activity Sign Off will effectively replicate the updated NDIS Support Allocations to any future Activities in the set. If you do not wish for this to occur, simply turn off the Replication Management Settings or, utilise the Exclude from this Activity checkbox. More information can be found in the linked article regarding this. How can Activities for Supported Employees be managed?